High school dining services are often, well, roasted for the selections they serve up. Not so at Lawrenceville! The School’s Stephan Archives, housed in the Bunn Library, are celebrating nearly two centuries of culinary excellence in “Now You’re Cooking! 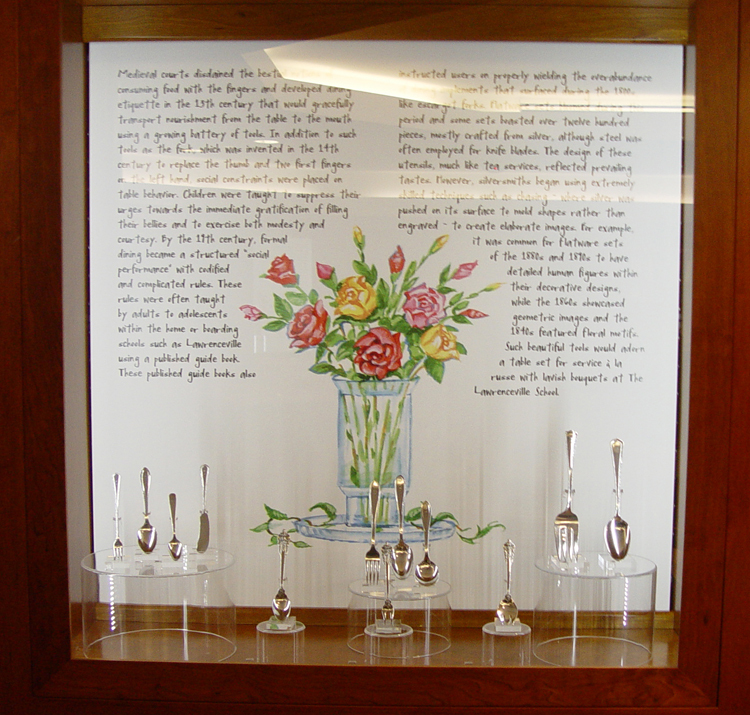 The History of Dining at Lawrenceville,” on display beginning October 26, during regular library hours. Nearly 50 items will be on exhibit, including a century-old Tiffany & Co. tea set, locally produced china, and even a recently retired plastic cafeteria tray. While most of the items were housed in the Archives, other treasures have been unearthed in unexpected locations. Members of the School’s Buildings and Grounds staff found a colonial-era glass bottle and a circa 1860 flask hidden in a wall at Belknap House (now a faculty residence), a former tavern. UPDATE: For more on the exhibit and the special dining hall menu created around it, check out this article from the Spring 2013 Lawrentian. This entry was posted in Exhibits, News and tagged historical artifacts, historical exhibits by caseybabcock. Bookmark the permalink.